The Enactus Canadian national organization encouraged us to get out there and just start “doing something” rather than debating the chapter’s by-laws and getting bogged down in meetings. The team did exactly that, and have already conducted a local food drive that collected over a quarter ton of grocery items prioritized by the Kelowna Food Bank, in only four hours. 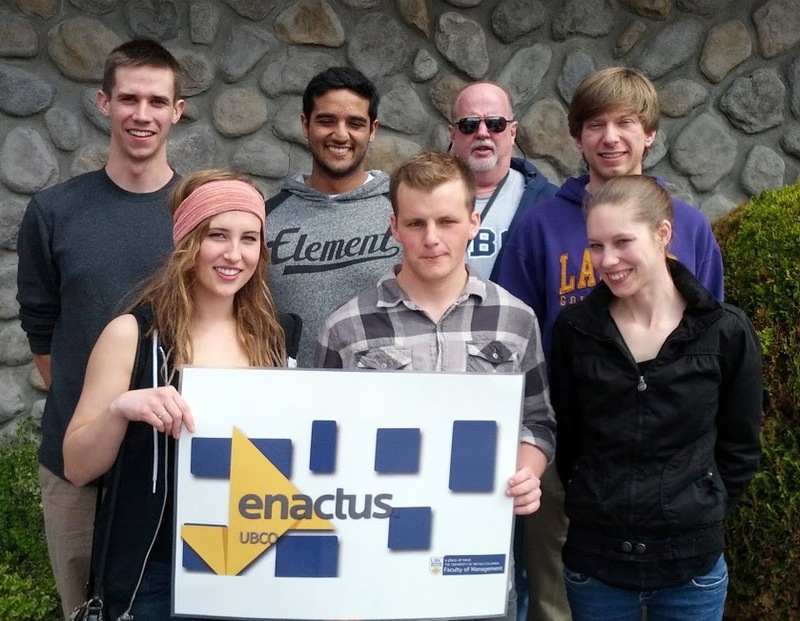 The Enactus FOM team have also introduced themselves to the Enactus team at Okanagan College, and observed OC‘s dress rehearsal presentations for the Enactus national competition to get an idea of what we need to do next year. The global impact and reach of Enactus was made evident to us this week when I was contacted by Doina Olaru, the Enactus faculty advisor from the University of Western Australia in Perth, who is currently on the UBC Okanagan campus conducting research. Doina had somehow found out about me, and asked to meet. I quickly arranged for her to also meet with our student leaders. We were all left in awe by Doina’s story of what she and her students had accomplished in five short years with limited funding. The UWA Enactus team are three time Australian national champions for their projects, and have also appeared at the Enactus global conference. In addition to creating domestic Australian projects, the UWA team have created award winning projects in Kenya, India and Ghana, all in less than 5 years. Needless to say, our team hope that we can have a bit of their success rub off on us, and we have plans to build our relationship with Doina and to meet her team, as two of our UBC team will be Going Global in Australia very shortly. Our most important early development has been the emerging plan for a major “Tier Three” project. Tier Three Enactus Projects are those which provide ongoing benefit to the community over multiple years, engage and employ a significant number of local community people in need. In discussion with our Enactus national field director in Toronto, we learned that of the 63 Enactus chapters at universities across Canada, there are only 2 chapters currently with Tier Three projects. The Enactus national organization is obviously very eager to increase this number. We have shared our early conceptual ideas with the national Enactus organization and they are very enthusiastic and supportive. For now, our Tier Three project remains under wraps while we do our “due diligence” and seek the endorsement of our key stakeholders, and community organizations who will also need to support the project. We are hopeful that we can begin early piloting of our Tier Three project over the summer. Finally, we have reached out to the community for financial support and we are well on our way to obtaining those local community partnerships. For further information and to join our local Enactus chapter, contact Julia Moody’s mobile 250-801-6402 or mine: 250-864-9552. Or email us at enactusubco@gmail.com.